Jallikattu fame Julie (Juliana) will appear on Vijay TV on August 26th and 27th episode of Kings of Comedy Juniors. An image was viral on Social Media on few days back, maximum of the people thought that it was fack. But, it is true that she will appear on one of the leading show by the channel after the Bigg Boss at present in weekends. 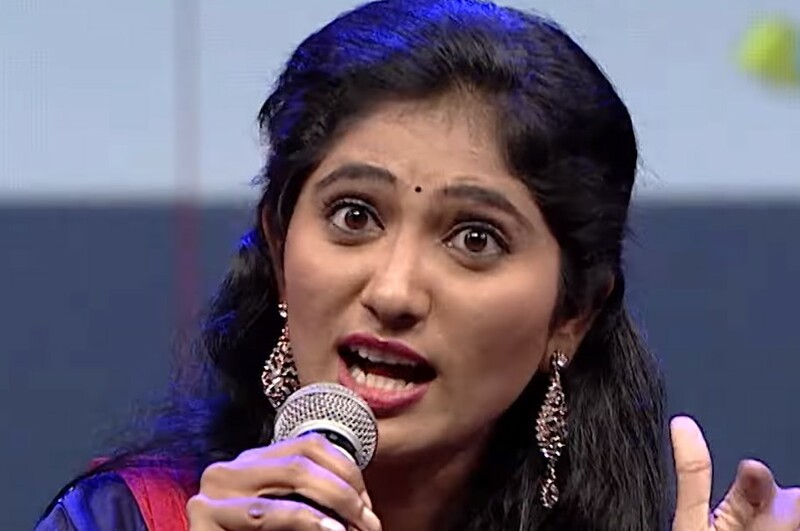 After Zee Tamil TVs Junior Superstars success, one of the competitive channel, Vijay TV launched Kings of Comedy Juniors with the judges of their own Robo Shankar, actress Ramba, and RJ Sindhu. On the recent promos of Kings of Comedy Juniors, it shows that Julie is the chief guest of the episodes which will be aired on Saturday and Sunday night at 07 pm. In the Second promo of the show, it shows Julie saying Superstar actor Rajinikath’s Kabali’s famous dialogue for her.